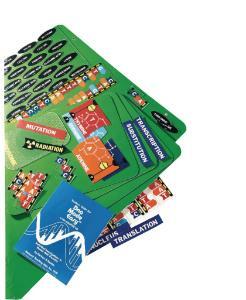 This lab teaches students the basics of DNA. 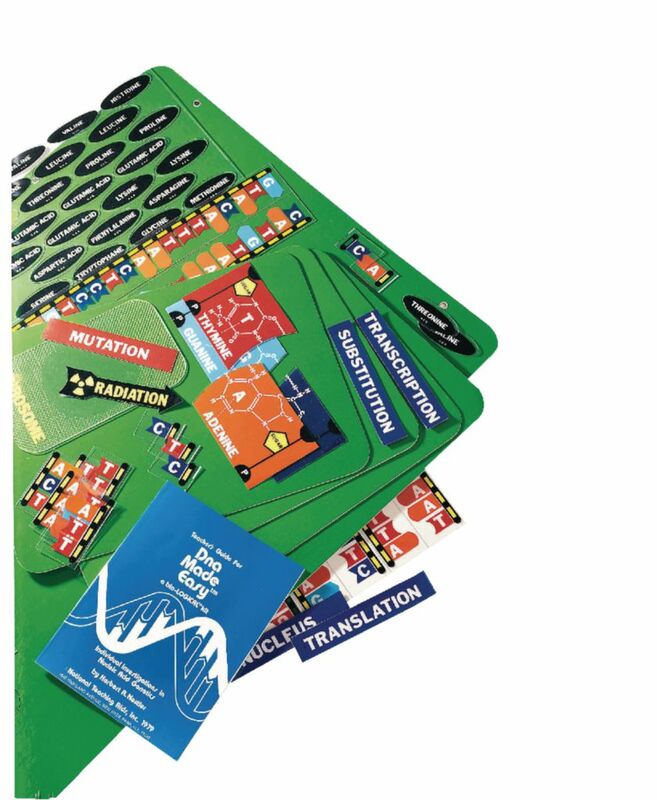 Using the materials included in this lab, students perform seven activities: The Chemical Nature of the DNA Code, Construction of Part of the Hemoglobin Gene, Replication, Transcription, Translation, Mutation by Substitution–The Defect in DNA that Causes Sickle Cell Anemia, and Mutation by Deletion. The demonstration board has mounting legs and is large enough for the whole class to see. It includes a teacher’s guide and student worksheets for each demonstration.